Madysyn Paige Creighton of Lynchburg was recently awarded the Defiance College Trustee Scholarship and Service Leadership Award for the 2015-16 academic year. 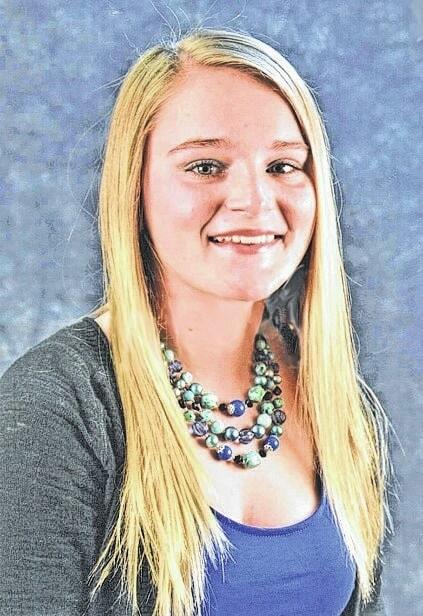 Creighton, the daughter of Melinda Creighton and Howard Creighton, is a student at Lynchburg-Clay High School and is involved with National Honor Society, student council, softball and basketball. Awards are given to students in the following categories: presidential, dean’s, pilgrim, trustee, and achievement with dollar amounts ranging from $10,000 to $22,000. Additionally, students can be awarded a Service Leadership Award recognizing their commitment to service in their community, and the DC Marching Band and Music Talent Awards for students excelling in music performance. Students must attend the college’s fall or spring Scholarship Day event to qualify for scholarships. Submitted by Kristi Jo Leaders, assistant director of marketing, Defiance College.